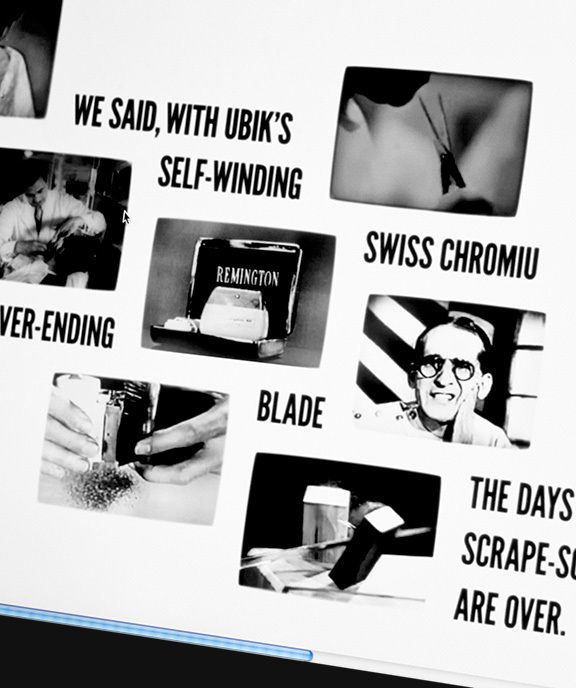 We wanted to give you a shave like no other you ever had. 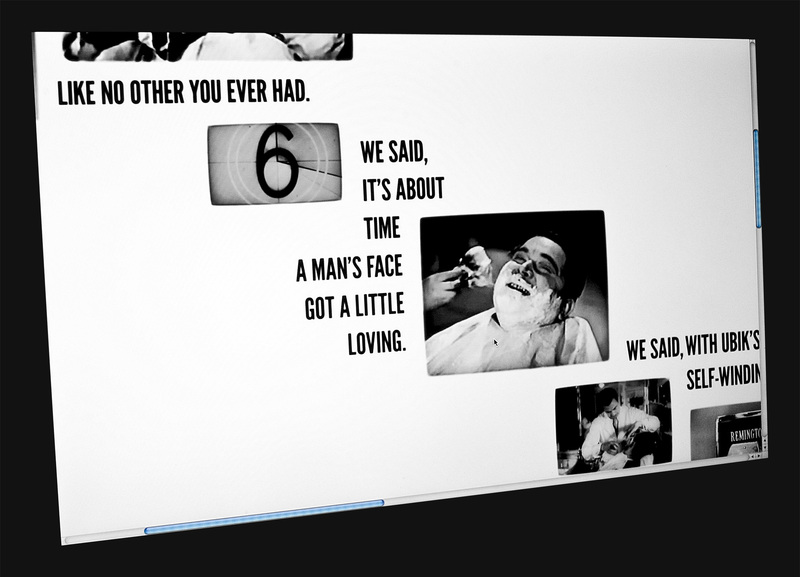 We said, it’s about time a man’s face got a little loving. 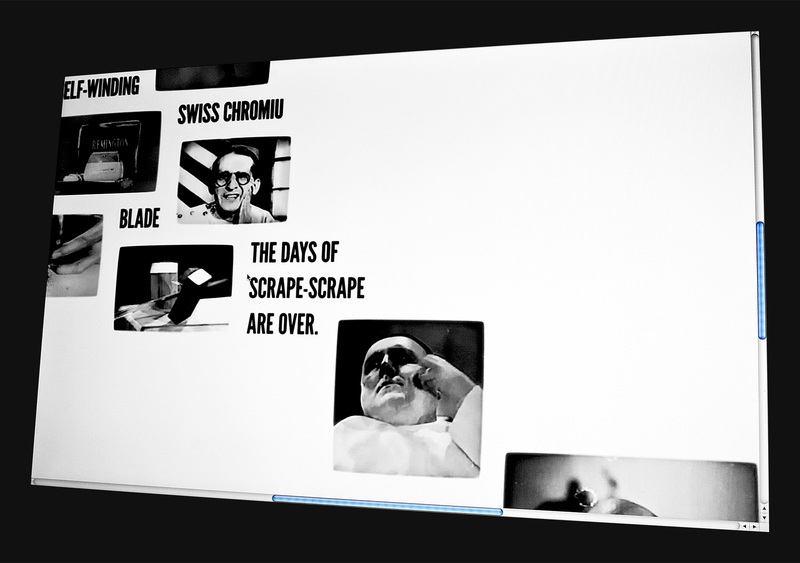 We said, with Ubik’s self-winding Swiss chromium never-ending blade, the days of scrape-scrape are over. 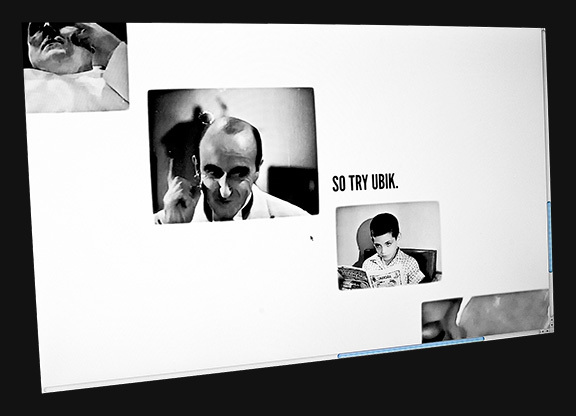 So try Ubik. And be loved. The source of the dynamic images used in this prototype is the Prelinger Archives.